Middletown Family Fun Festival and Craft Show | Louisville, Kentucky | Joe Hayden Real Estate Team - Your Real Estate Experts! If you and the family are looking for something fun to do this weekend, you might want to check out the Middletown Family Fun Festival and Craft Show 40th anniversary celebration. This annual community event will take place on Friday September 7th from 6pm to 10pm and Saturday September 8th from 10am to 9pm at Wetherby Park and Old Main Street in Middletown, Kentucky. Families that attend the Festival and Craft Show will find an amazing display of over 200 commercial, civic and arts and crafts booths. There will be an abundance of live music, Karaoke, walk around entertainers, a dog show and a parade with well over 1000 participants. If you have little ones, there is plenty of fun for kids with free inflatables, and the festival will top off the evening with a huge pyrotechnic show to light up the skies. 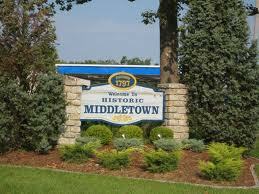 The annual Middletown Family Fun Festival and Craft Show has become a renowned celebration in the area. This is an event you won’t want to miss if you are looking for some good, clean, family fun this Friday and Saturday. Make some plans to head on out to the Family Fun Festival in Wetherby Park and see what 40 years of celebrating is all about. 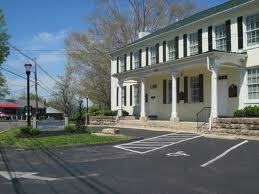 To learn about other great events in the area, please visit Louisville Real Estate.